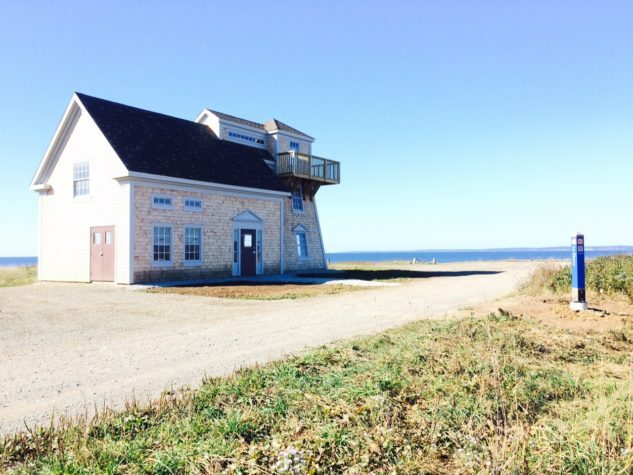 Starting on Tuesday, July 3, 2018 the Church Point Lighthouse will be open for visitors! 9 am to 4 pm, every day. Closed: Friday, July 6; Saturday, July 14; Thursday, July 19; Friday, July 20; and from July 23 to July 26. 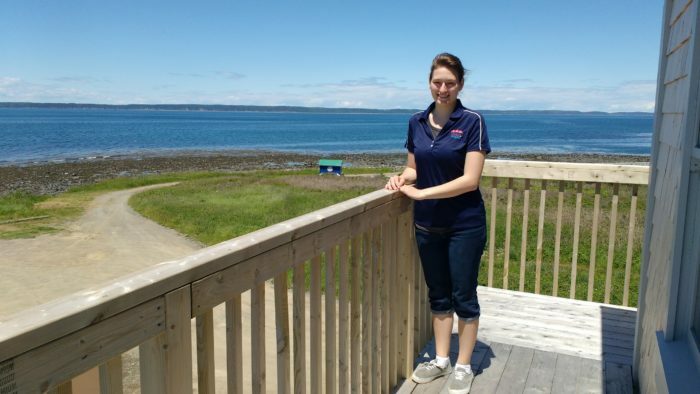 Come join our marine biology interpreter Layla Abboud from the Baie in this new replica of the former lighthouse that was built in 1874. 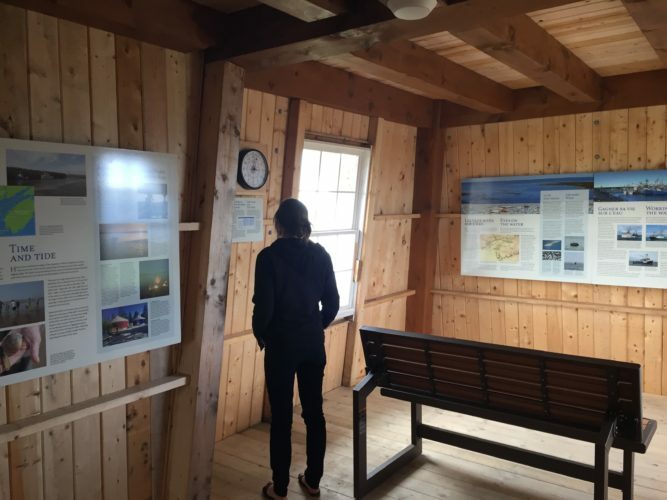 You can follow the interpretive panels found inside the lighthouse or our guide will fill you in on the interesting facts and stories about the previous lighthouse as well as the local marine life. 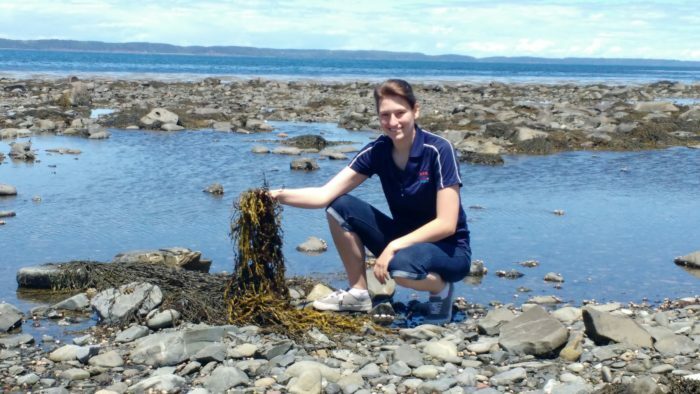 Tours will also involve walks on the beach including sample gathering, animal and plant identification followed by sample analysis in our miniature lab. 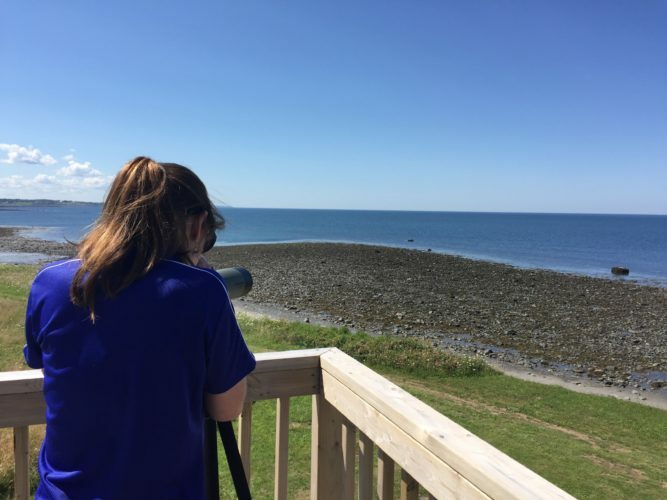 The lighthouse also includes an amazing view from the third-floor deck, a perfect spot for bird-watching and observing some of the highest tides in the world. 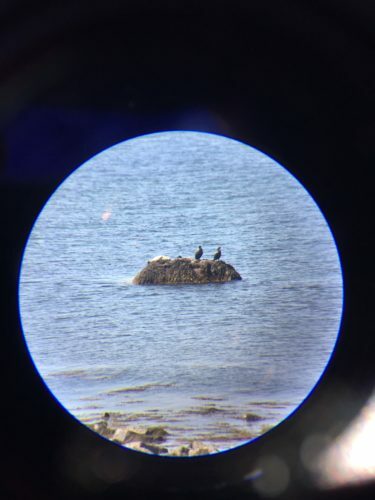 This is an excellent spot for watching marine mammals and birds, as well as the spectacular sunsets on the bay, and because there are no streetlights here, it is also a great place to view the stars and meteorite showers in the night sky. 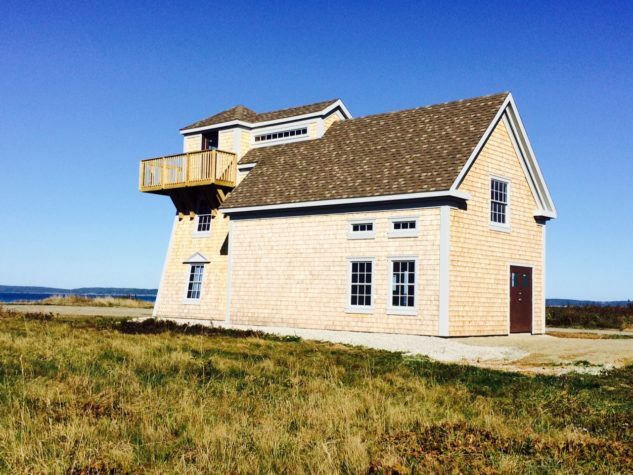 The new building is modeled on the shape of the original lighthouse and keeper’s house. Professor Shawn Craik and his students at Université Sainte-Anne’s biology department will use this building as a laboratory for their bird banding activities. They study a number of bird species, set up nesting boxes in Le Petit Bois and also participate in a pan-American study that tracks the migratory patterns of the tiny northern saw-whet owl (Aegolius Acadicus). For a nighttime guided walking tour, contact the Visitor Information Centre in the Rendez-vous de la Baie, or visit http://nuitstella.ca/ for the schedule and contact information.